In the last 10 years there have been over 200 million vehicle recalls in the United States. More and more, auto dealers are concerned about their liability if they sell a vehicle with an open recall. Recall Check gives you the tools you need to easily monitor your entire inventory on a daily basis, spot check trades and deliveries, track recalls that are being serviced, and leverage this information into opportunities to drive traffic to your service lane. Recall Check features daily monitoring that happens automatically, and you can access all open vehicle recall data with just the click of a button in ProMax or ProMax Mobile. It's easy to use and fully integrated into all pertinent Desking, Inventory, and Compliance modules. Any time you enter a trade, that VIN is automatically checked for open recalls. 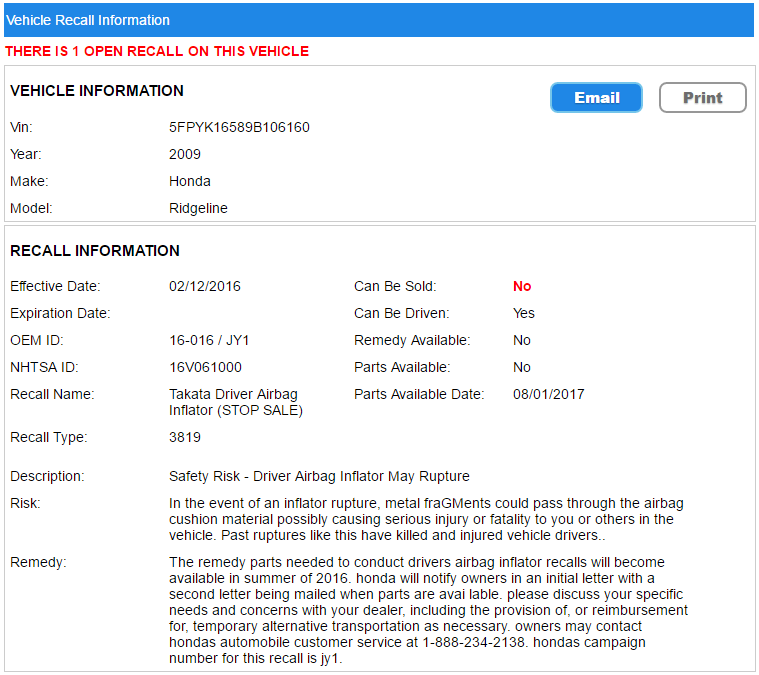 All recall information is accessible on the Open Recall Report: here you can designate vehicles as ‘Do Not Sell’, see whether parts are available, and track the progress of recalls you have decided to take care of. Use it to better evaluate trades, book in inventory, or funnel customers to your service lane. 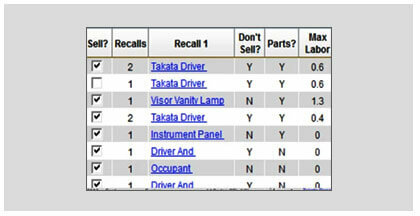 Our comprehensive OEM database and gives you and your customer valuable information on any open recalls a vehicle has. You can also print Recall Disclosure forms for your customer and deal jacket whether there are any open recalls or not. We also offer targeted direct mail campaigns to customers with open recalls. These campaigns are proven winners; drive customers to your service lane whether they bought from you or not! These powerful campaigns are limited to one dealer per market per make. The ProMax Recall Check tool makes it easier than ever to monitor your inventory or perform an open recall check on trades and cars at auction. To learn more about Recall Check and how it can help your dealership, contact your Dealer Support Specialist at 844-322-9034 or fill out this form. To learn more about Recall Check and how it can help your dealership, contact your Dealer Support Specialist at 844-322-9034 or fill out this form.